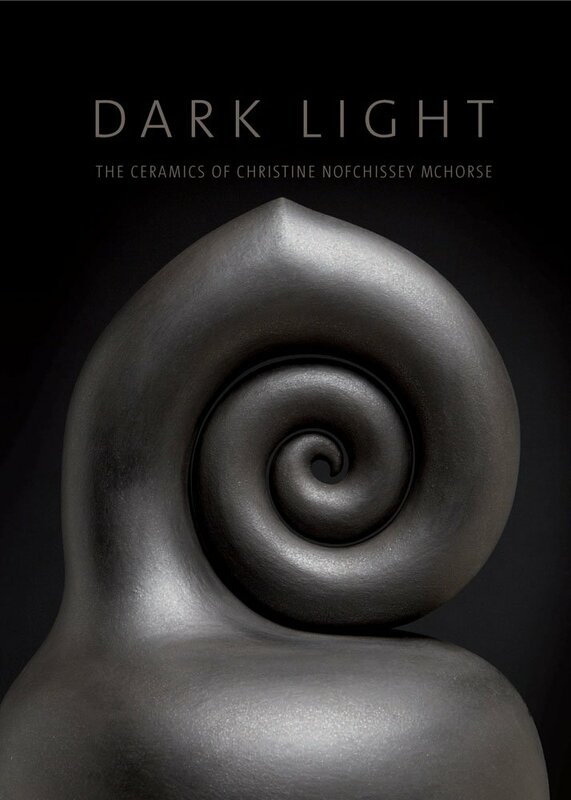 Dark Light is the first book on the ceramics of the great Navajo ceramist Christine Nofchissey McHorse and features her award-winning sculptural black series begun in 1998. Authors Clark and Del Vecchio, the two foremost experts on international contemporary ceramics, give respect to the artist’s Native roots while also exploring her art in a mainstream context, a breakthrough in evaluating Indian pottery today. Dark Light refers to the mica-rich clay McHorse uses in her vessels. When fired, the mica glows and shimmers against the black of the reduction-fired surfaces, advancing and receding, giving McHorse’s elegant, matt-black biomorphic shapes a retinal vibrance and a sensual life. Garth Clark, director of the Ceramic Arts Foundation and author of over sixty books, was founder with Mark Del Vecchio of the Garth Clark Gallery, and is now a partner in Cowans | Clark | Del Vecchio. Recipient of the 2005 Mather Award for Distinguished Achievement in Art Journalism, Clark was recently made a Fellow by the Royal College of Art, London. Mark Del Vecchio, partner in Cowans | Clark | Del Vecchio and founding partner of the Garth Clark Gallery, authored Postmodern Ceramics and was codirector of Ceramic Millennium in Amsterdam in 1999.